Ram Disk is about the least known and even less understood pieces of computer technology. works by turning your Ram’s volatile memory into user usable storage. volatile you will loose all data stored on it when the pc shuts down. Do I need Ram Disk ? The very first question that needs to be answered is this obviously. 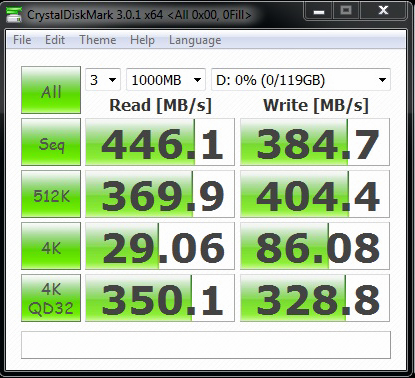 SSD look like the metre by metre, clunky old hard disks of the 80s. There are two things you need to get a Ram Disk. Ram (Obviously) and special software to turn your ram into the Ram Disk. There are countless Ram Disk softwares out there, some costing money some sharewares and I believe some are even free. Their free version allows the creation of Ram Disks upto 4gb. If you have 4 gb of ram, turn 512 mb into a ram disk. If you have 6 gb of ram turn 2 gb into ram disk. If you have 8 gb of ram turn 4 gb into ram disk. 8 gb will be turned into ram disk. AMD also offers PCI-E based Hardware RAMDisks in massive sizes such as 64 gb Editions, these can be found easily on their site.